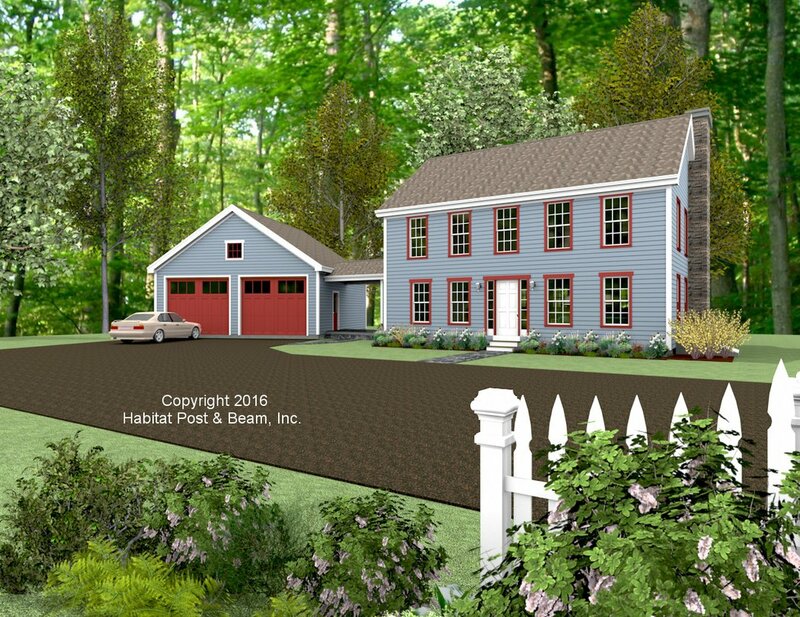 Our most recent design is a custom Colonial, which will be built on a large wooded lot in Berkshire County in western Massachusetts. This house utilizes our Full Exposure Wall Framing System (http://www.postandbeam.com/wall-framing-system) throughout. The main level of about 1000 s.f. of living space has a central entryway in the front with the living room to the right and a laundry and pantry area on the other side of the entry stairs. 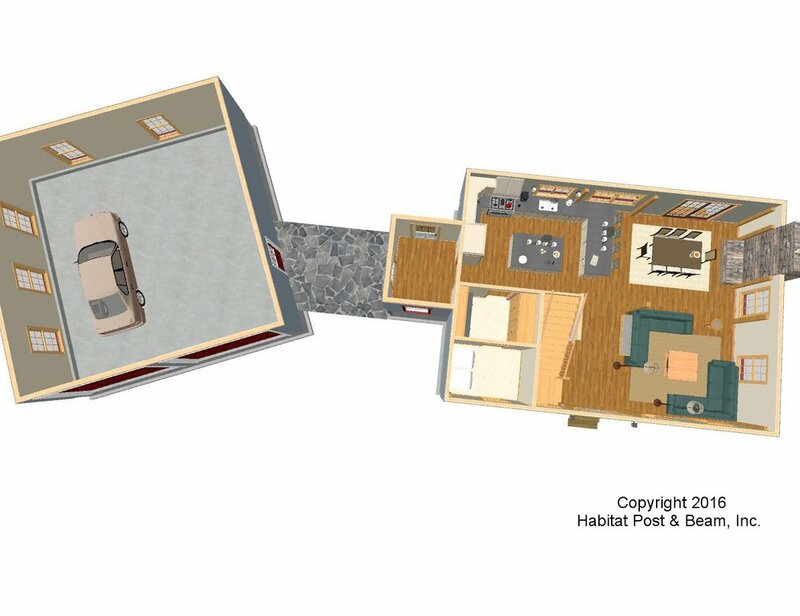 The back side of the main level is the kitchen and dining room with a fireplace, and a conventionally framed mud room entry connects the main house to the porch/breezeway, then to the angled two-car garage (Note: the connector porch/breezeway and garage are not included in the Habitat material package). The floor between the main level and the upper level (flat ceiling throughout) is our Beamed Mid-Floor System (http://www.postandbeam.com/floor-framing-system). Upstairs is about 950 sq. 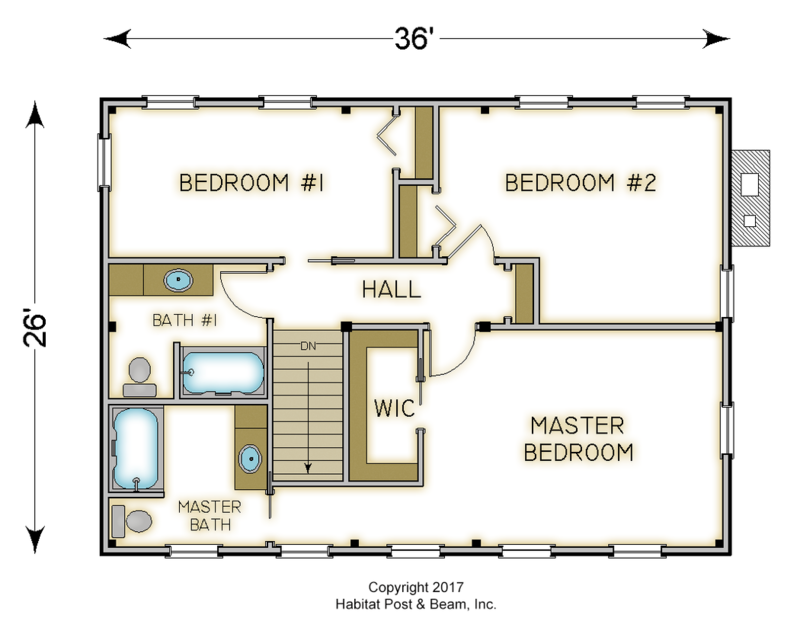 ft. and houses the master bedroom suite with private bath and walk-in closet, and two rear bedrooms with a shared bath. 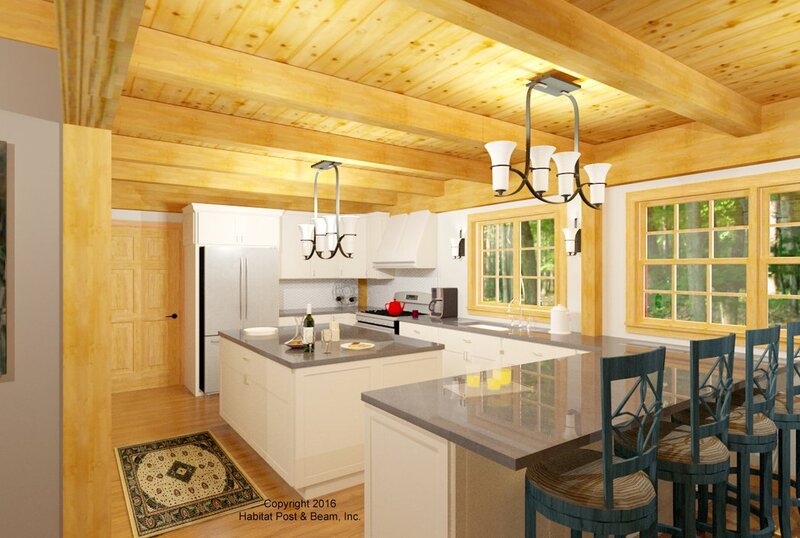 A Plaster and Accent Beam Roof System (http://www.postandbeam.com/roof-framing-system) was chosen for the roof area. The full basement is currently designed for storage and utilities, with interior stair access and exterior bulkhead access. Package Price: $128,500 as specified below (from $117,500 to $147,000 depending on framing options). The standard price includes our Full Exposure Wall System, Plaster and Beam or Beamed Mid-Floor System (same package price), and our Plaster and Accent Beam Roof System. The mudroom, breezeway, and garage are not included in the above pricing.